United Nations Secretary-General AntÃ³nio Guterres has appointed Mr. LIU Zhenmin of China as the Under-Secretary-General for Economic and Social Affairs effective 26 July 2017. Prior to his appointment, Mr.Â LIU was Vice-Minister for Foreign Affairs of China since 2013. Â Among his various diplomatic assignments, he served as Ambassador and Permanent Representative, Permanent Mission of the Peopleâ€™s Republic of China to the United Nations Office at Geneva and Other International Organizations in SwitzerlandÂ (2011-2013). 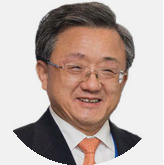 Mr.Â LIU brings to the position more than 30Â years of experience in the diplomatic service, with a strong focus on the promotion of bilateral, regional and global issues. Â He was deeply involved for 10Â years in climate change negotiations including the conclusion of the Kyoto Protocol and the Paris Agreement. Â He also widely participated in the international activities on the protection of our planet including Antarctica and the oceans. Â Over the last several years, in various capacities, he has been consistently highlighting and advocating for sustainable development issues. Mr.Â LIU started his career at the Foreign Affairs Ministry inÂ 1982. Â Since then, he has served the Ministry in various capacities, including as Assistant Minister for Foreign AffairsÂ (2009-2011); Ambassador and Deputy Permanent Representative, Permanent Mission of the Peopleâ€™s Republic of China to the United NationsÂ (2006-2009); Director-General, Department of Treaty and LawÂ (2003-2006); and Deputy Director-General, Department of Treaty and LawÂ (1998-2003). Â He also served in the Permanent Mission of the Peopleâ€™s Republic of China to the United Nations Office at Geneva and Other International Organizations in SwitzerlandÂ (1992-1995) and in the Permanent Mission of the Peopleâ€™s Republic of China to the United NationsÂ (1984-1988). As Under-Secretary-General for Economic and Social Affairs, Mr. LIU guides UN Secretariat support for the follow-up processes of the 2030 Agenda for Sustainable Development, including the High-level Political Forum on Sustainable Development. He also oversees the substantive services to many intergovernmental processes, including the annual meetings of the Second and Third Committees of the General Assembly, the meetings of the Economic and Social Council, including its Development Cooperation Forum, and the work of the subsidiary bodies of ECOSOC. In addition to intergovernmental processes, Mr. LIU oversees DESAâ€™s policy analysis and capacity development work. He also serves as the Convenor of the Executive Committee on Economic and Social Affairs, and advises the United Nations Secretary-General on all development-related issues, including climate change, internet governance, and financing for development. Mr.Â LIU holds a Master of Laws from the Law School of Peking University. He was born in August 1955 inÂ Shanxi Province,Â China. Mr. LIU is married.